Friday! Hurray! Did that rhyme? Well, to me it did and this paints a clear image of my unquenchable love for Fridays. May I ask, who doesnt love Fridays? I bet you even the birds love Fridays, if you’ve paid attention to the kind of tunes they sing on Friday mornings. Lol!! You cannot blame me for having strong affection for Fridays as deep as that of which Khaleesi had for her dragons (at least until they got rebellious). Let me take you down the memory lane, back in school, usually, I close from my lab sessions early on Fridays, meet up with some friends to play video game and that makes my Friday memorable like the story behind the titanic. Surprisingly, this Friday showed otherwise and I want to share that with you. Immediately after my laboratory work, I communicated with some friends and we decided to meet up at my place to play video games (the usual rituals though). With the little ounce of strength left in my muscles, I carried myself to my room, took a cold shower and waited for them. Fast forward to thirty minutes past eight and they still had not showed up. Sitting idle, I decided to have a quick recap of the week as I hardly do. To travel down memory lane once again, I knew the perfect melody to go with was none other than Memory Lane (sittin in da park) off the classic illmatic album by Nasir Jones. I had been battling hip-hop addiction for some time but I reckon a little of it wont hurt. I quickly grabbed my laptop and soon the song was playing. I laid on my bed staring at the ceiling and started to recall the activities of the week. The week had seen me go about my usual plan. Since I gained admission in the university to study pharmacy my plan was to accentuate my academics by approaching it amicably amid being arduous and aggressive just to make straight As. Thats what I did every other day of every other week but on Thursday of this week something spectacular happened. I got to the study room around seven oclock feeling very tired. I decided to stand outside a bit to feel the cool breeze that blows across the Tek Credit Hostel. Yoo my niggas wasup, I interrupted. Guy 1.0: Charley we base o. Their conversation continued. Guy 1.0: Yeah me too, my daddy revealed it to me on my 20th birthday. The third guy who had remained silent for a while also revealed that he also had similar intentions. Since they all had big dreams in corrupt times like this, it was normal that I should ask if they knew people occupying higher but not just high positions in the UN administration and so I did not feel reluctant at all. Guy 1.0 quickly replied: oh! My fathers best friend is the head of the UN Statistical Commission. He said once I acquire my first degree from here, I should just flash him on phone. Fully filled with pride and confidence, the second guy revealed: I also know Mrs Adjeibea Adinyira, shes one of UNs top judges and even showed up for dinner with my family last weekend when I visited home. I really admired the third guy, who happened to be relaxed throughout the conversation I was eavesdropping. He came up again to say this: I know the boss of all these people and thats why I am so confident I will pull through far ahead of you guys. Those words sparked laughter in all of us except him. “You think we are kids to be deceived, oh so you know Ban-ki Moon now huh?” I said. He laughed and retorted: “No!!! But I know Jesus and he’s all I have to know”. ῀I bet you should have seen our faces῀. It was like the faces the NBA fans made when Nate Robinson dunked on Yao Ming. 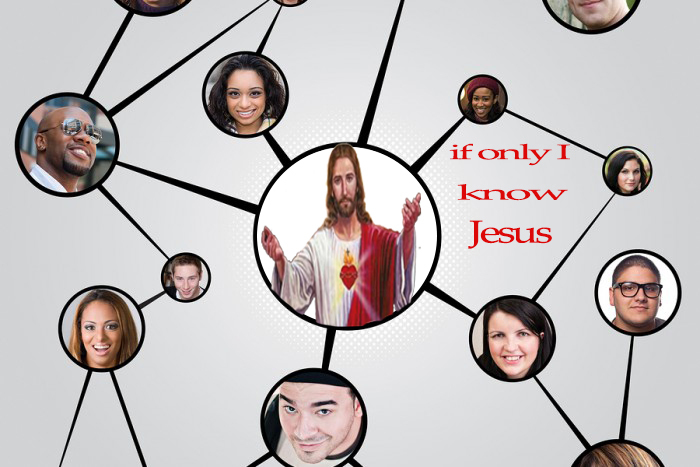 We were all so busy developing ‘links’ with notable people but we had forgotten about Jesus. That moment was the most remarkable moment of my week. Most of us run to Jesus only in times of need or when all our plans have failed. But ideally, he is supposed to be a part of the plan since the beginning. Jesus is whom we should know and I can boast thats enough for an entire lifetime. “Who do you know?” this is the most important question the youth today are finding answers to in our part of the world especially in times of job search after a degree. With this new hope that, God is all I need to know and have, I want to encourage you all that to hell go the fears and doubts about our tomorrow. Surely we shall overcome so far as we know God. Anyways my friends never showed up so I ended up sleeping like a baby. Sweet dreams stuck in the 90s. 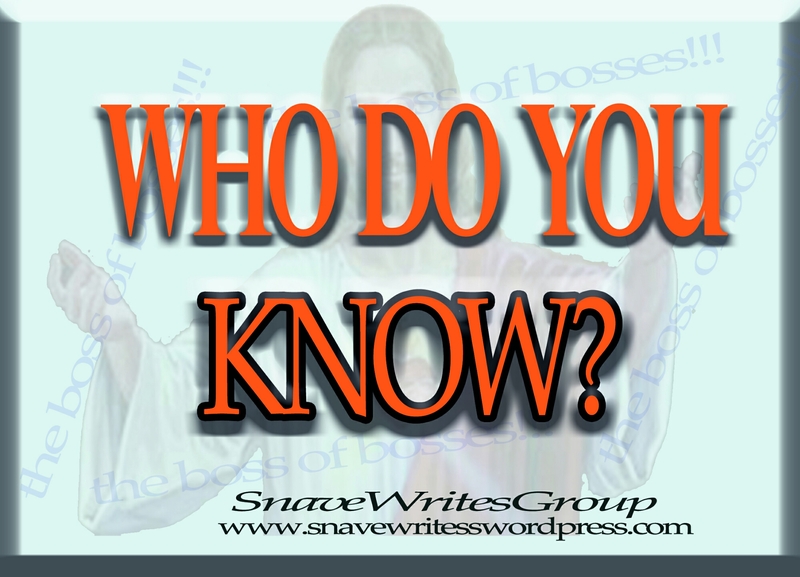 Tagged: Jesus, who do you know?